Directed by Andrew Niccol, The Host stars Saoirse Ronan as Melanie and Wanderer, the alien "soul" who took over Melanie's body. As Melanie's still sort of in there, the two characters share one body and some complicated character developments as Wanderer begins to sift through Melanie's human memories and tries to process the emotions that come with them. Yahoo posted these three banners, which feature Ronan and her costars Jake Abel (playing Ian), Max Irons (Jared) and Diane Kruger, who plays the Seeker. 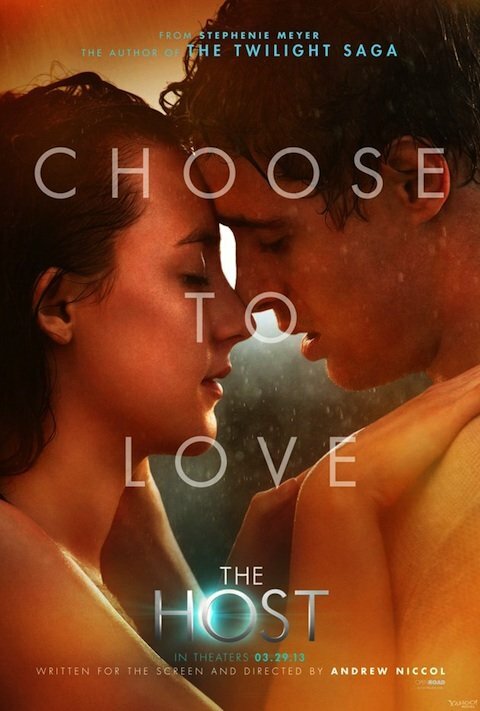 The first one is giving off a kind of The Lucky One (or pretty much any other Nicholas Sparks movie poster) vibe, except it's raining and it looks like Melanie and Jared are naked. The implied love-triangle (reminiscent of some of the Twilight posters), is actually more of a love-quadrangle when you consider that there are two characters in one with Ronan. Finally, we have The Seeker, the soul-inhabited woman who's assigned to keep an eye out on Wanderer, and who eventually sets out to track her down when she wanders off. 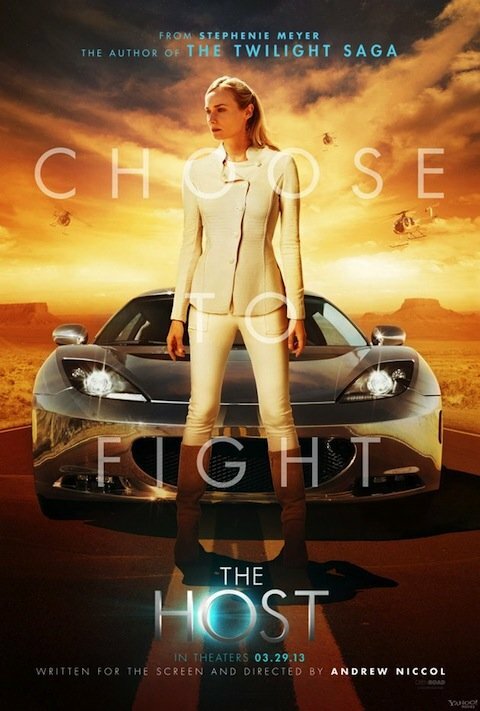 Choose to fight seems fitting for her, as she proves to be the face of Melanie/Wanderer's opposition when the chase begins. And based on that shiny, futuristic car, it looks like the Seeker has the vehicle for the job. The previously released posters played emphasis on the glowing eyes of the alien-inhabited characters, but it looks like the banners are aiming a bit more for character drama here and the emotional side of the story. Melanie's eyes might be glowing in the second banner, but if they are they're not the focus of the image. You can view the bigger versions of the banners at Yahoo here. 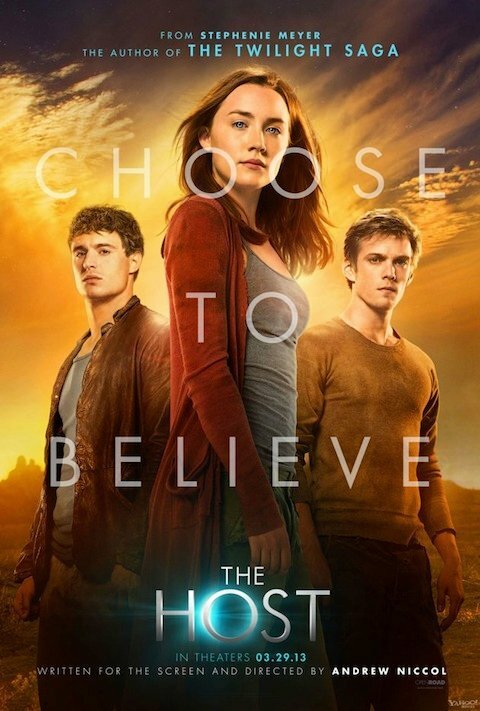 The Host arrives in theaters March 29. More informations, photos and video can be found in our Blend Film Database.